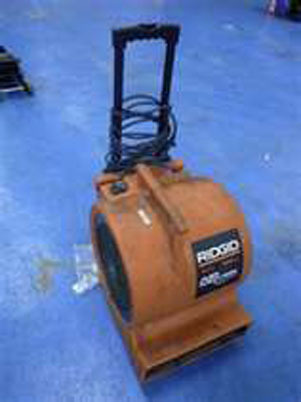 A professional-grade, portable air mover that can be used to floor surface. With wheels and a retractable handle, this heavy-duty air mover is convenient to move from site to site. The durable induction motor operates quietly. It features 3 speeds of up to 1,600 cfm.